The more we see of these things the more we like them. 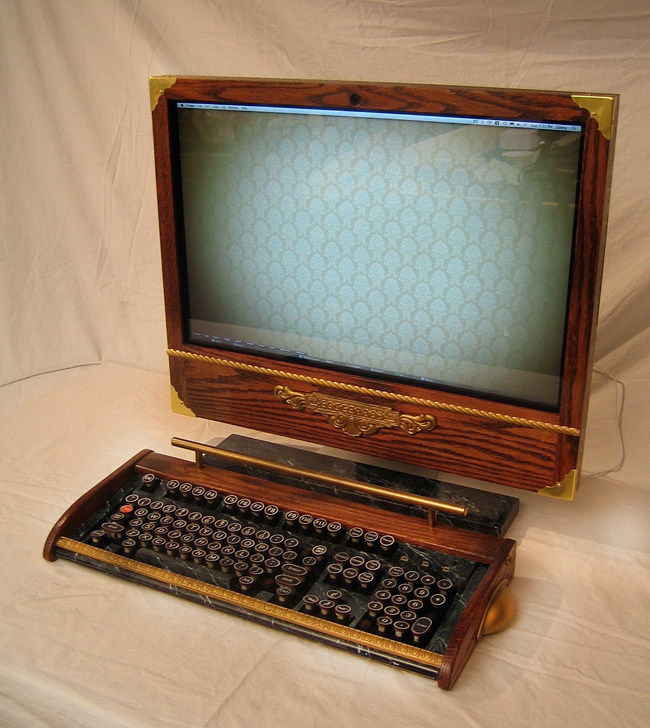 Here for your delectation and delight is the glorious Steampunk iMac.Hand crafted with oak and brass, the base cover sports a marble finish and will take you just “seconds” to install on your iMac, according to its maker Old Time Computer. Pingback: iMac cannot connect to a Windows XP machine… Why??? ?